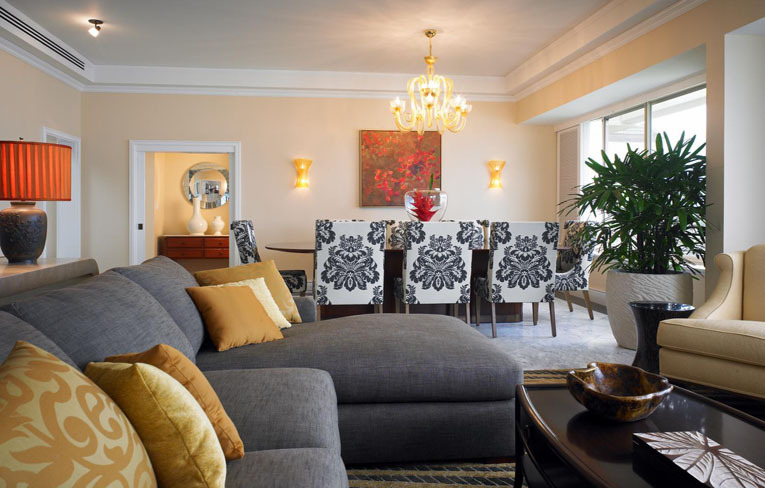 North America more in "Kauai"
The St. Regis Princeville Resort marks the legendary brand's first resort in Hawai'i and introduces an unparalleled level of sophistication and serene luxury to one of the most remarkable destinations in the world. The Spa's menu of exotic treatments promise blissful diversions, enhanced by essences of local fruit and flora. The St. Regis Princeville Romantic Dining Experience is a truly private and memorable dining experience for two, at a beautiful outdoor setting. Princeville Ranch Adventures offers exclusive ziplining, kayaking and hiking tours on 2,500 acres of private lands on the North Shore of Kaua'i. 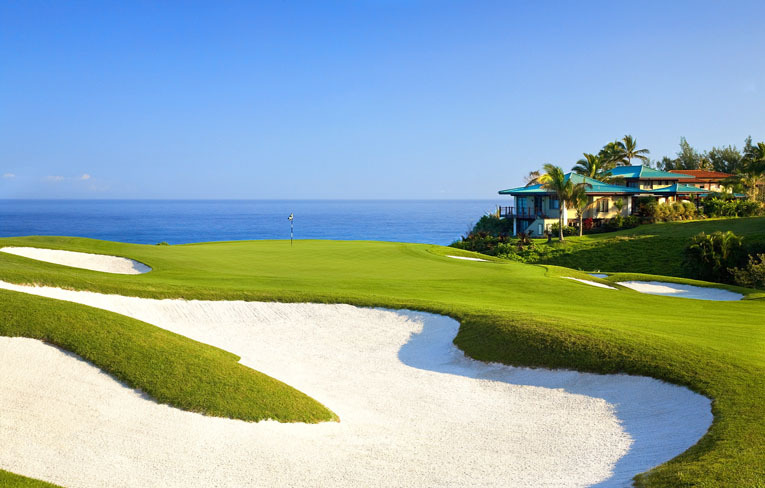 The renovation by Robert Trent Jones Jr. features the introduction of Seashore Paspalum turf grass on to all fairways and greens. 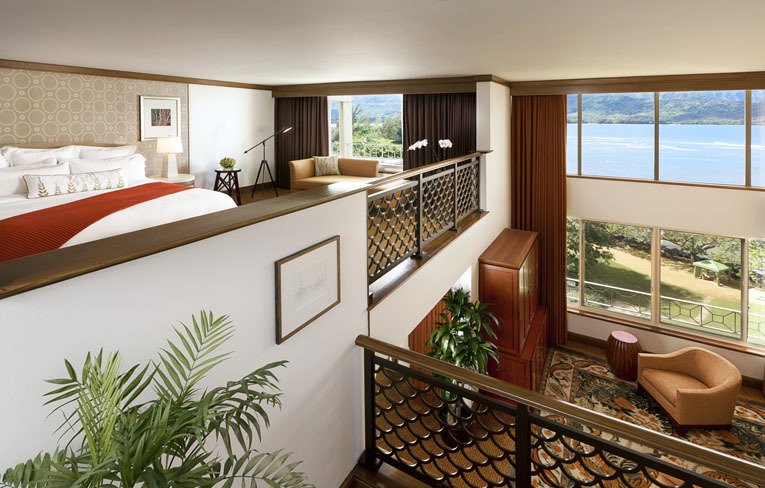 The St. Regis Princeville Resort located on the exclusive North Shore of Kaua'i is the focal point of Princeville at Hanalei. 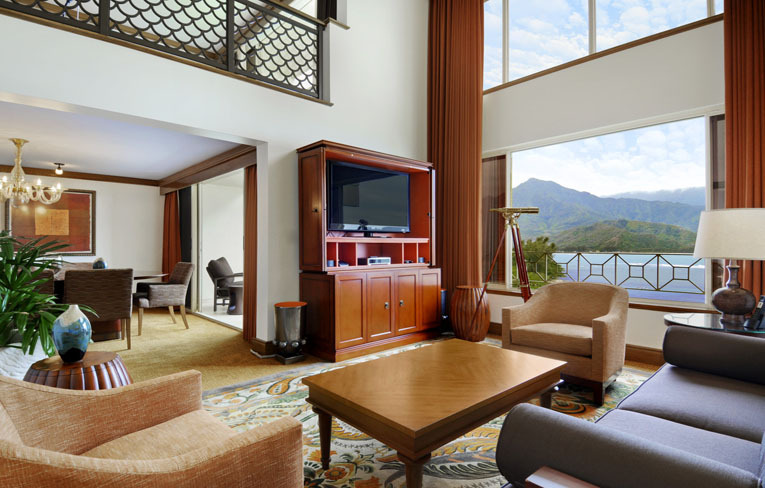 A luxurious haven, overlooking Hanalei Bay explore the quaint communities of Kilauea and Hanalei, ride horseback along the majestic Na Molokama mountain range or kayak the idyllic Hanalei River. Resort guests enjoy a wide range of ocean sports and eco-adventures from surf lessons, snorkeling to hiking the dramatic Napali. Beginning the moment a valet greets you in our grand porte cochere, you will find the St. Regis Princeville Resort experience to be a gracefully revealed series of unexpected pleasures. 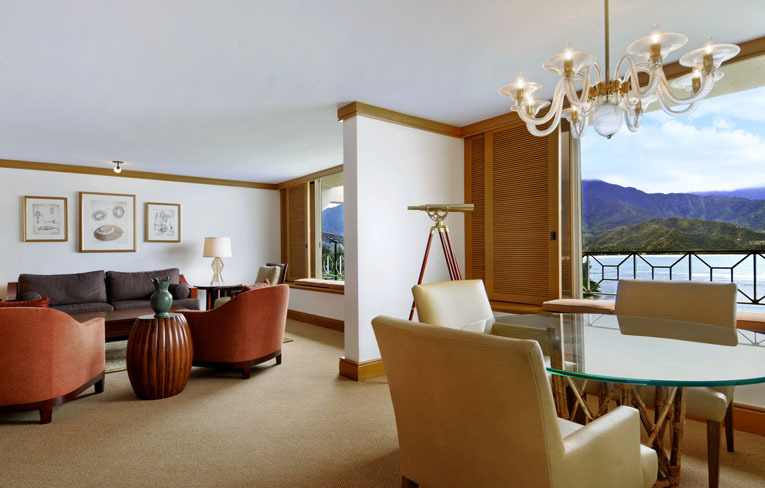 The St. Regis Princeville's accommodations are no exception. Guests rooms are both calming and seductive, the contemporary Hawaiian designed room reflects the color palette of the sky, sea and earth. 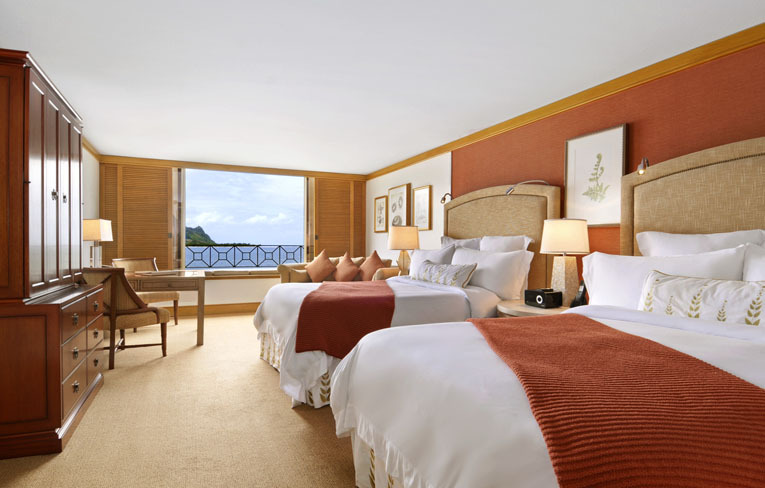 Custom furnishings and enchanting views are enhanced by a collection of sensory experiences created by the St. Regis Princeville Resort to enhance our guest's sense of this singular destination. 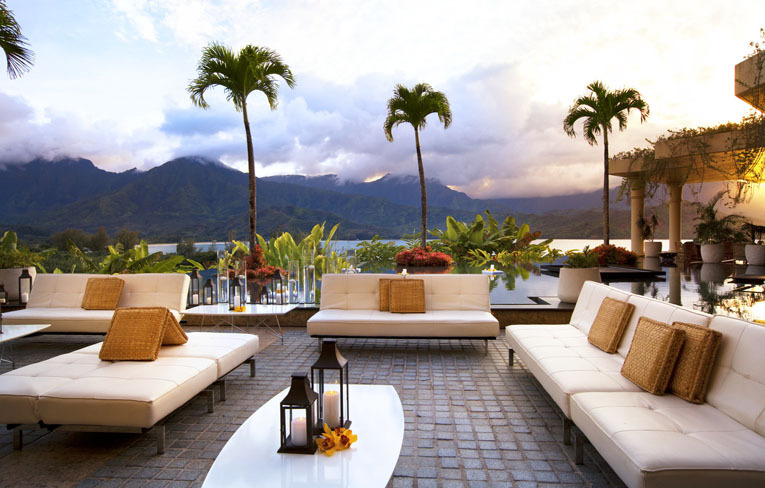 Among the resort's signature features is a unique 5,000 square feet infinity designed swimming pool situated on the ocean overlooking beautiful Hanalei Bay. The pool is surrounded by lush tropical gardens, natural lava rock and striking water features reflecting Hawaii's tropical outdoor lifestyle. Enjoy light Mediterranean influenced cuisine and sophisticated tropical libations in the shade of our gazebo or in the privacy of our dining cabanas. 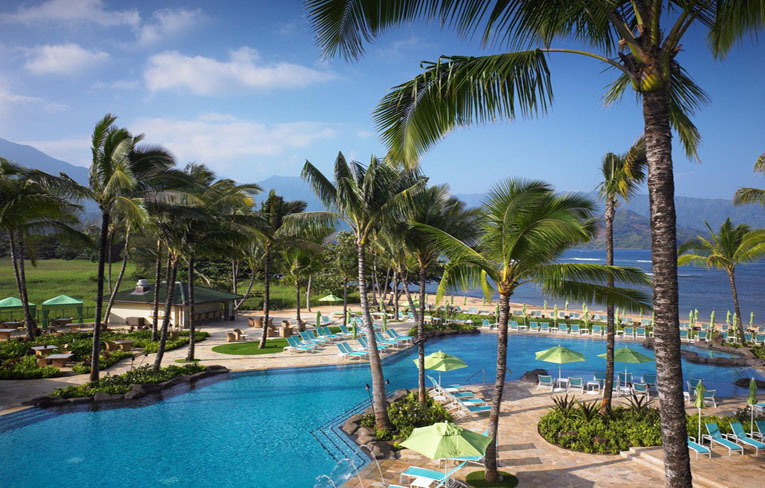 Should your preference be relaxing poolside soaking up the Hawaiian sunshine, they feature a special poolside menu. 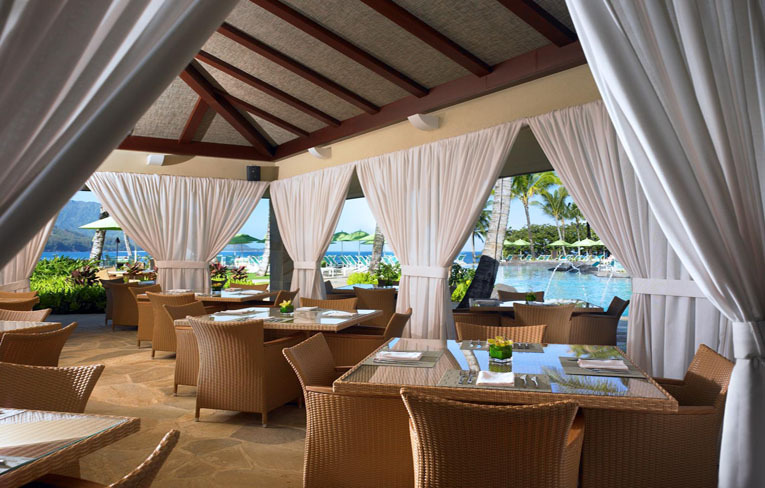 Indulge the refinement of our unique offerings at the bar while enjoying breathtaking views overlooking Hanalei bay. At The St. Regis Princeville Resort acknowledges the therapeutic properties of birdsong and morning sun. We find the caress of a tradewind as renewing as the hand of a masseur. And we believe that pure water holds miraculous power to cleanse the spirit. 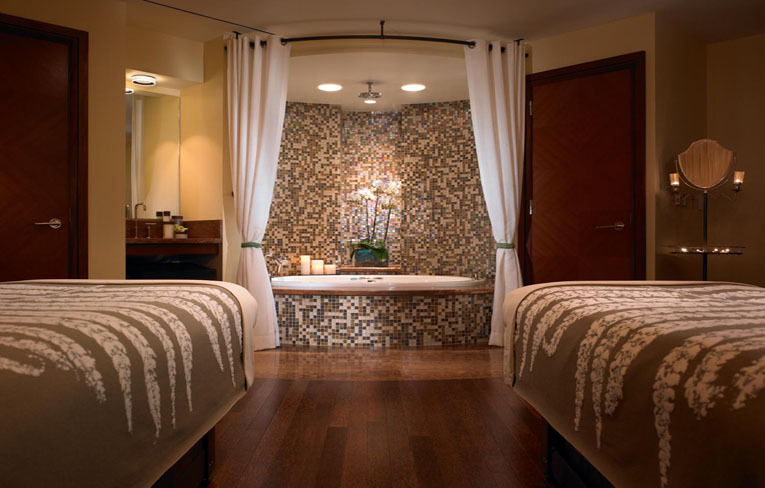 A day at Halele'a Spa revitalizes your every sense. Here, a menu of exotic treatments promise blissful diversions, enhanced by essences of local fruit and flora. Guests are attended to by a trained consultant, who will develop a customized wellness regime to ensure optimal healing and restoration while in residence, and well beyond.